The Latvian singer/ songwriter Kerija Kalēja and the American musician/singer Eric Jayk magnetic duo „Astra The 22’s” are releasing their second single „Save me”. Bands first single „Catwoman” was released beginning of March and has been played on Latvian, Estonian and Lithuanian and a few US radio stations, where they have received great reviews about the duo’s new single. The song was mixed in New York by Kyle Kelso and mastered in Los Angeles by Howie Weinberg. The Satellite Radio on air personality Lüc Carl is short and sweet: - "Electrified hair sprayed pop, Eric Jayk does it again!" 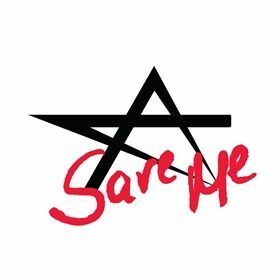 Soon to be released full video of „Save me” , which has taken place in Riga, Berlin and New York. In the beginning of September Astra The 22s are planning to perform in the Baltic countries.